The Springfield panelized kit home features a formal entry foyer with immediate access to the formal dining and living rooms. 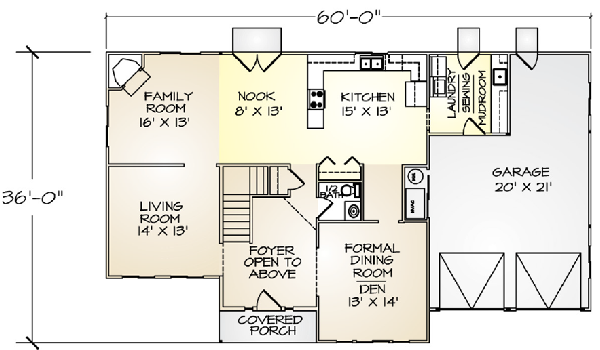 The large family room with an informal eating area next to the kitchen is perfect for everyday family use. 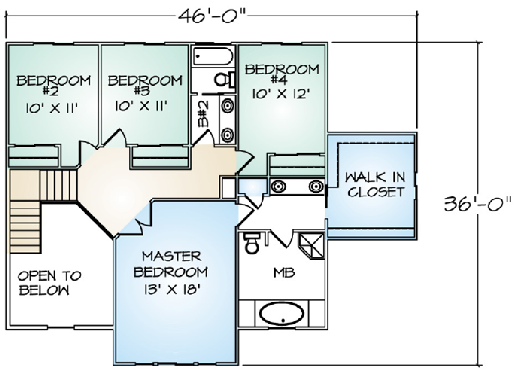 The master suite has a large walk-in closet off of the compartmentalized master bath area. 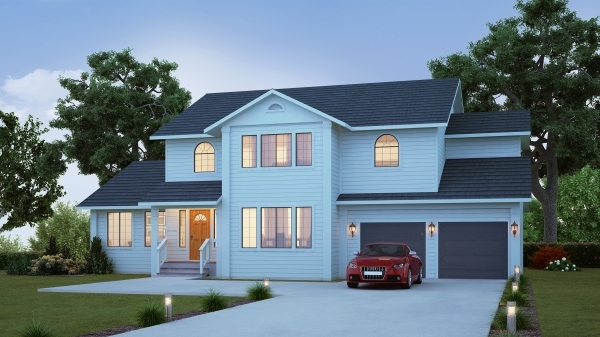 The oversized two-car garage even has an area for a golf cart, shop, or a home office - or just more storage if needed.